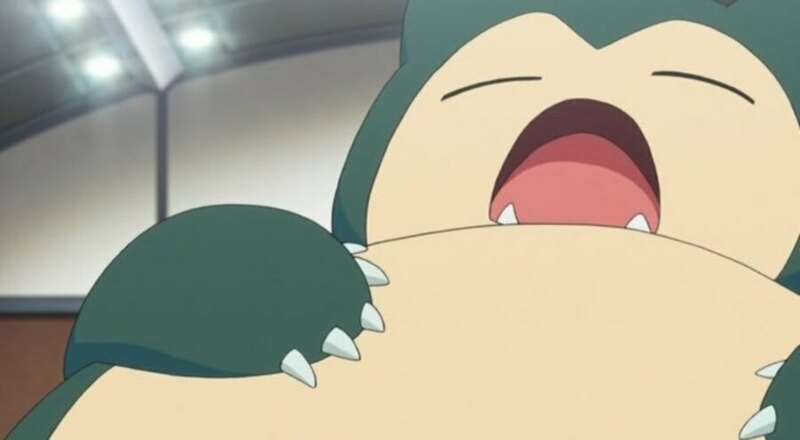 Three thieves have been caught on CCTV stealing a giant Snorlax Pokémon plush from a store in Malaysia. The store has shared the footage online in hopes of tracking the culprits down. The video, which you can see for yourself below, shows the thieves entering and leaving Black Borx, a Malaysian store which sells vending machines which can store all sorts of goods inside. One example of an item which can be stored in one these machines is a 1.5m Snorlax toy, which was reportedly left sitting outside "to let everyone have a fun encounter with this gigantic creature". Sadly, the thieves had a little too much fun, and decided to run off with the poor thing. In a bid to bring the Snorlax home, Black Borx posted the following message to Facebook. At the time of writing, it has been shared over 1,500 times. We have ways to identify our Snorlax and rewards will be given when it is returned to the rightful owner! While the situation doesn't seem to have been fully resolved just yet, there is a glimmer of hope. Black Borx posted an update just a couple of days ago saying that progress has been made and that they hope "Team Rocket will be blasting off again soon". Here's hoping it gets returned safely. For more giant Snorlax plush related content (nope, we can't believe we're saying that either), feel free to check out this heartwarming story of a Snorlax toy which had an exciting, yet sometimes traumatic, journey around the globe. And so the hunt begins! In unrelated news i have a giant Snorlax plush doll for sell. Any reasonable offer will be accepted please call 1-800-555-6789. The Shop wasn't prepared for trouble. I'm sorry I can't stop laughing, I know I shouldn't but I can't help it. You woke up that poor snorlax. Team Rocket PSA: Shoplift with your legs, not your back! And get another grunt to help do the dirty work! Team Rocket at it again... Where is officer Jenny when you need her? In this one moment the criminals managed to accomplish more then Jessie and James ever did in the anime. Good grief Team Rocket! Pikachu isn't enough? @AxeltheBuizel the story isn’t over yet! Will Ash find out where Snorlax went? Will Misty ever tell Ash her true feelings? Will Brock open his eyes? And what other mysterious Pokemon will they find on Malaysia Island? Find out on the next exciting episode of Pokemon! I knew it couldn’t be Japan because crime doesn’t exist there. Except for the Yakuza but they’re pretty accepted and leave most people alone. @InklingLegend To be fair, it reads like the Snorlax isn't for sale. I'm amazed that the crooks did not even check to see if there is a security camera. Lure + X-Speed is absolutely a winning combination here. Hahaha! Prepare for trouble! Make it double! (Doing this by myself is a real drag) To protect the world from devastation! To unite all peoples within our nation! To denounce the evils of truth and love! To extend our reach to the stars above! @GameOtaku :Team rocket blasts off in the speed of light Surrender now or prepare to fight! What if they already placed Snorlax inside a Poké Ball? They may never find it! @Hero8-Bit Never thought I’d see the day where I’d be whooshed, also never thought I’d see someone whoosh someone else in 2019 like come on.